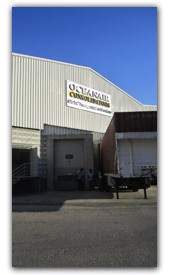 Now that “OCEANAIR CONSOLIDATORS sarl” has its own warehousing facilities we invite clients who, for any reason, still did not decide to nominate “OCEANAIR CONSOLIDATORS sarl” as their first choice carrier, to seize this new opportunity and start releasing their LCL cargo to the only guaranteed neutral and global NVOCC, a proud member of the “WorldWide Alliance” . Secured site covered 24/7 by 16 infra-red surveillance cameras directly linked to our central server. Professional inspection & repair team is available when required. 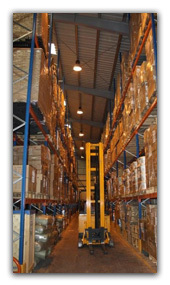 The warehouse is equipped with all necessary security and anti-flame tools for securing storage of dangerous & IMCO cargoes.